Teeth that are cracked, weakened or missing can impact your self-esteem and ability to smile or chew as you’d like. Crowns and bridges are simple options commonly recommended in such cases and can transform the way you feel. At QVC Dental Port Kennedy, our skilled team will restore a natural-looking smile with these options. Gapped, ageing, or decayed teeth, an improper bite or grinding your teeth can lead to damage that cannot be fixed with a filling. A crown is a cap that goes over the tooth to cover it for added strength and stability. A crown is created specifically for you in the shade of your natural teeth, for a seamless look that’s cost-effective and long-lasting. It takes about two weeks for our Australian laboratory to create your crown, though you’ll be given a temporary one meanwhile. If you’ve felt embarrassed about missing teeth, we want to help you show off a look you love. Dental bridges are an effective solution that involves using neighbouring teeth on each side of the gap as anchors. A fake tooth is then suspended into the open space. 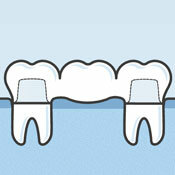 Just like with crowns, a bridge is expertly matched to the colour of your existing teeth. We believe that top-quality dental care should be accessible to all. We offer financing options to suit everyone’s budget, interest-free. You can also join the QVC Dental Port Kennedy membership program. With this program, a low monthly fee entitles you to biyearly checkups, discounts and more. Contact us today to discuss your options with crowns and bridges in Port Kennedy! Emergencies are welcome, and we’re here for you six days a week.